Lea was born and raised in Terre Haute, Indiana and moved to Texas in 1986. She joined AltigOptical in December 2003. In her spare time she enjoys spending time with her husband of 30 years, their children and grandchildren. 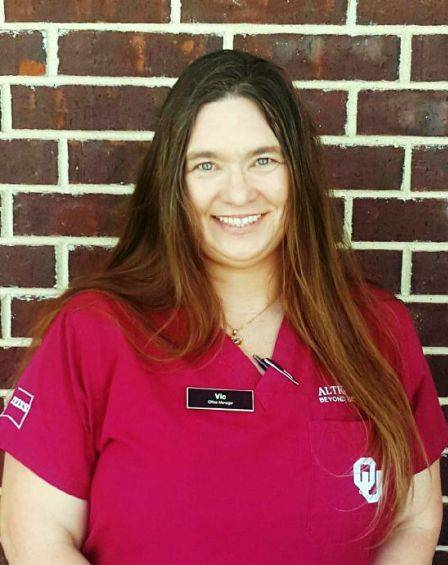 Lea is the Lead Optometric Tech and loves having fun at work. Victoria was raised in Santa Cruz, California and moved to Texas in 1986. Victoria Started in the Optical industry in 1994 and still loves it today! Over the years in the Optical Industry Victoria has worked the Front Desk, Contact Lenses, Pre Testing and of course her favorite as an Optician! Victoria is currently the Office/Optical Manager with us. In her spare time Victoria enjoys spending time with her Husband Russ and their 6 children and 5 Granddaughters! Victoria also loves Scuba Diving (or any activity on the water), Gardening or reading a good book! 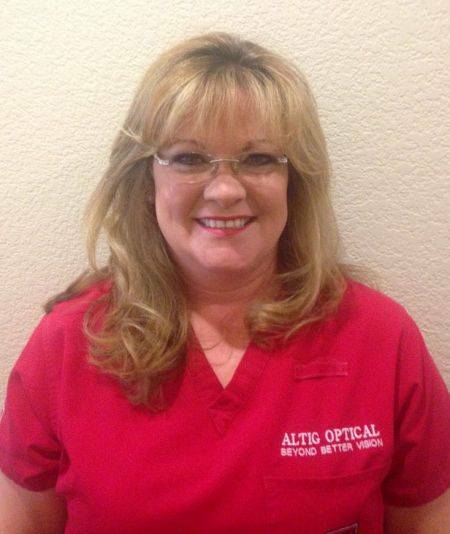 Jacky Cunningham is currently serving as Front Office Manager of Altig Optical. Jacky and her husband have four children, one grandson and a malipoo named Rylee Jo. 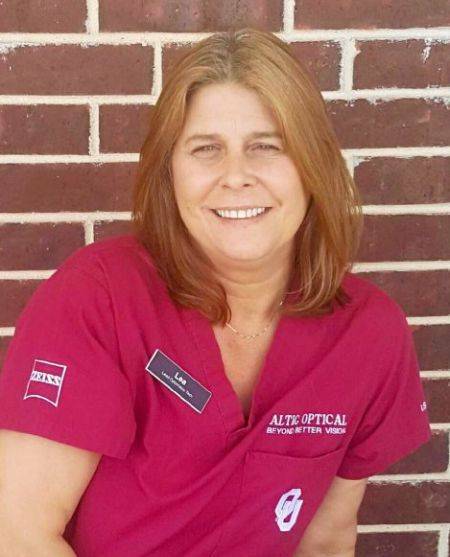 She has been in the optometric field for over 28 years and is a Certified Paraoptometric Assistant. Jacky began her career with Dr. Altig in 1987 and is so grateful to be back where it all started. She has a true passion for sincere customer service and is ready to assist you with all your eye care needs.